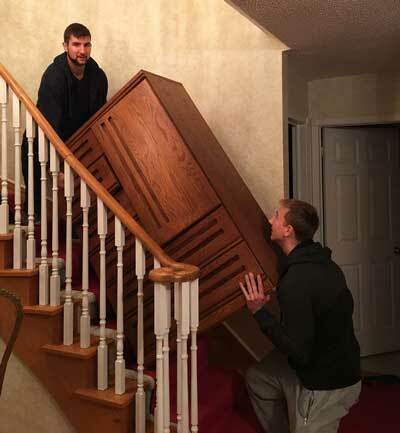 Local Moving – Bronte Movers & Storage – Local Movers in Burlington, Oakville, Milton, Mississauga. We move people all over Ontario & Long Distance. Household moving, corporate moving, packing services, storage facilities, moving supplies, move management. Home of the piano moving experts. REACH YOUR DESTINATION 100% SURE AND SAFE, On Time, Secure, Reliable, Honest and Efficient. THE COMPLETE SOLUTION FOR ALL YOUR MOVING NEEDS! Your local Oakville Movers & Burlington Movers with experience. Bronte Movers will make your next local move quick and easy. We are in Oakville and have been moving households and businesses in Oakville, Burlington, Milton and Mississauga areas since 1975. For local moves, you hire us by the hour. Our experienced office staff can also approximate your moving costs over the phone. Hourly rates vary by the season and the time of the month. Our hourly rate depends on the amount of crew required and includes a fully equipped truck. We charge by man hours worked and round trip travel time. Taxes are additional on every move – HST. Bronte Movers provides free use of mirror/picture boxes and wardrobe boxes. Bronte Movers sales team provide accurate free customized in home estimate so that we can determine your exact needs. Our estimates are guaranteed within 10% of the total cost. (Considering everything is packed and ready to move on the day). Bronte Movers provides local moves to many areas, Oakville, Burlington, Milton, Hamilton, Toronto, Niagara and all surrounding areas. Bronte Movers’ full service moving makes relocating easier on you. For all our moves, the safe handling and transportation of your personal belongings is our top priority. Whether your new home is in a downtown core or spacious suburbs, Bronte Movers will bring a personal touch to your moving day. Repeat customers and referrals have helped us build our business over the years. We look forward to serving you, doing what we do best. Please see our Moving Checklist and for a comprehensive list of suggested moving preparations. Contact Us now for a Free Customized in Home Estimate.